New to Diablo? Now you can try before you buy. The "Starter Edition" of Diablo 3 - a fancy title for what is essentially a long demo - is now available on Battle.net. The trial allows players to play any class up to level 13, and lets them fight their way to the game's first major boss, the Skeleton King. There's a few caveats however. Players who haven't ponied up for a full copy of the game can't access the auction house, and they can only play with other Starter Edition players. All the progress, achievements and loot you earn in the trial are carried over, should you decide to pick up a full copy of the game. It's worth noting, however, that players who opt to buy a digital copy of the game may have to wait up to 72 hours for their account to be verified. Diablo III has had somewhat of a mixed reception. The game is an enormous commercial success; it received a record-setting number of preorders, and once launched, it quickly became the fastest-selling PC game to date. Said launch didn't go entirely smoothly, however. 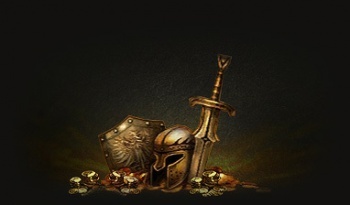 The game's always-online requirements invoked consumer ire, particularly when server hiccups and high demand prevented many users from logging in during the first few days following the launch. Now criticism is being leveled at the title's endgame content, which even Blizzard admits is somewhat lacking. That didn't stop it from squeezing a respectable 4/5 from our own Justin Clouse. On the bright side, now you can try the game before you drop the best part of $60 on it.